It's Day Four of our review of some of the Millennium Movie Poster Project entries and we've got another three great images to share with you. First up is this ominous composition in which they are 97 days remaining, hinting at some imminent catastrophic event towards which we are counting down. Lara Means is set to return in the cast in this feature, which has another celebrated writing partnership penning the script - Glen Morgan & James Wong - and is once again directed by Thomas Wright. Portraits of four characters feature on this next entry. Lucy Butler co-stars once again, as does a grown-up Jordan Black alongside her father. 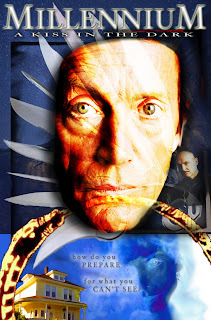 The legend proclaims the themes that would form the heart of this feature film. Today's final offering comes with a tantalising title - "A Kiss in the Dark" - and an accompanying tagline, with a visual suggestion that stabbings may feature as a killer's modus operandi. Peter Watts is visible here too, once again proving he survived the events of the TV show's finale! There are plenty more great designs yet to come in our Gallery Showcase, so be sure to check back again tomorrow for further visions of Frank Black's return to the screen! 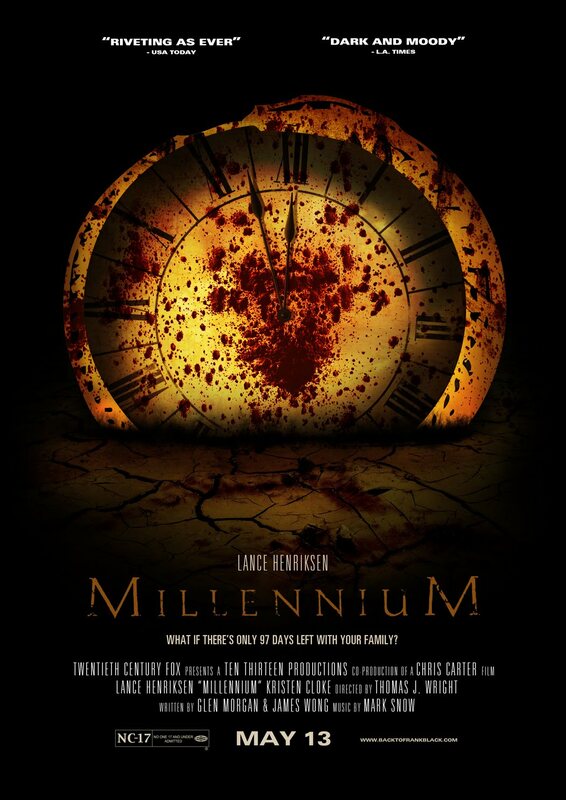 2 Responses to "Millennium Movie Poster Project: Gallery Showcase Day Four"
It's a superbly effective design - I agree, Terri. One of many, with yet more to be revealed... so stay tuned!